Sehra is one item that is only worn by a bride groom on his wedding day. It reflects the prestige of the bridegroom. It is similar like a veil for brides, a sehra is for bridegrooms. It is also believed to protect bridegroom from evil eye. Modern design sehra comes in zari, sequin, and pearl sehras. It is considered as an important wedding accessory for a bridegroom in Indian culture. 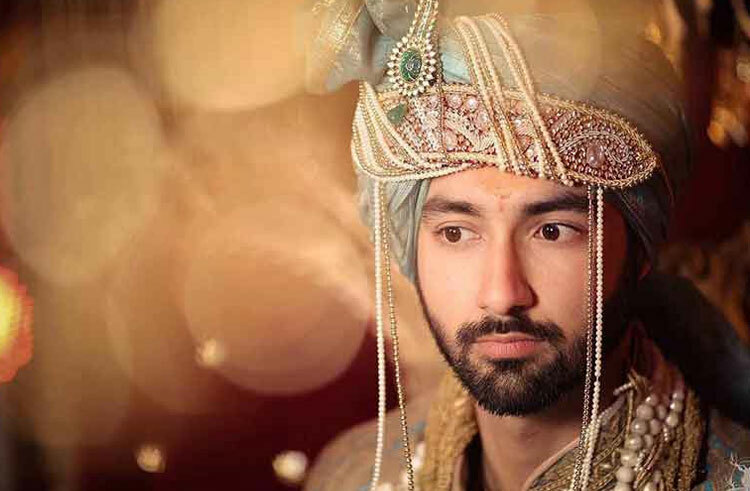 The respect and prestige of a bridegroom is linked with Sehra. Earlier it was only worn by personal personnel but now it is part of men’s accessories in almost all the weddings. It is a perfect accessory that completes the look of a bridegroom for the wedding day. Different types of sehras are worn in different regions. Sehra is basically a cover for the face of bridegroom as it is veil for a bride. A sehra can be made of many things. A flower sehra is very prevalent in Southern states of India where grooms are not permitted to take it away till the time wedding is over. Selection of flowers must be done carefully while opting for this type of Sehra. The band that holds the sehra comes in silk, embroidered cotton and can be just a satin band which is simple in look and maintenance. Some sehras come in shape of crown. The side of such sehras is decorated with high quality zari, white or light colored pearls or beads which makes this sehra very attractive. In modern wedding, a diamantesehras are very popular as it is tailored with shiny stones which ensure a majestic entrance of the bridegroom. Sehras can be chosen keeping in mind the wedding outfit. Pearl sehras or white stone sehras would be perfect with bright colored outfit and on the hand colored or combination of different pattern sehras would complement a light colored outfit. © Copyright 2017-18 | Wedding Safa on Call. All Rights Reserved.